The 2019 Federal Budget release was revealed last night with a focus on bringing Australia out of the red and into the black for the first time in 12 years. There were very few changes when it came to superannuation and the main focus of the budget was to accelerate the program for tax cuts. 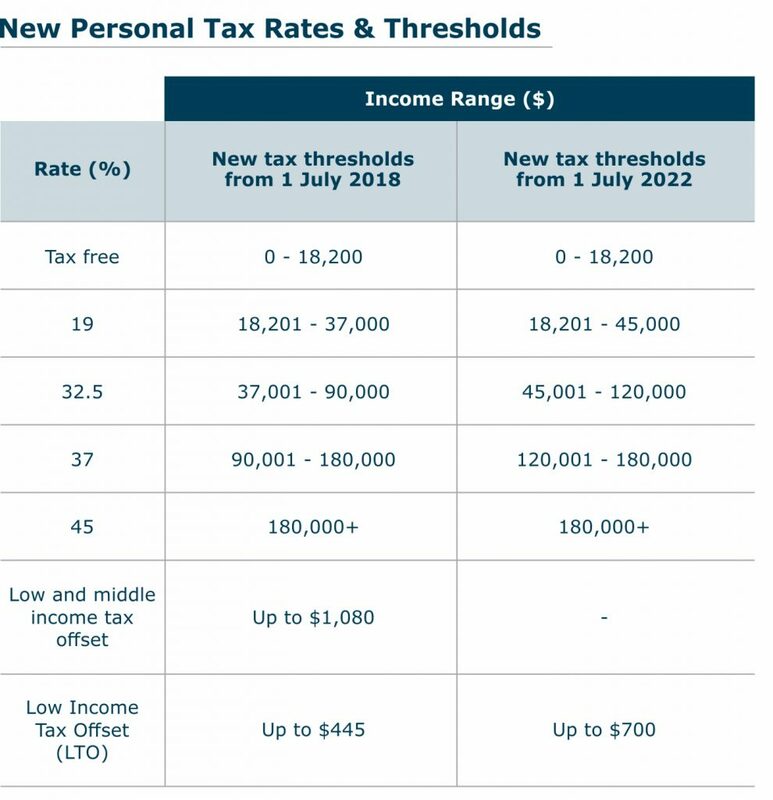 Low and middle-income earners, ranging between incomes of $48,000 – $90,000 per annum are set to benefit from an increase in the ‘Low and Middle-income earners Tax Offset’ (LMITO). This tax cut will essentially reduce your annual tax bill by $1,080 in the 2019/20 financial year should you fall into this category. In order to make voluntary contributions to your superannuation from the age of 65 to 74 to boost your retirement savings, you are currently required to meet the ‘work test’ through working a minimum of 40 hours in any 30 consecutive day period. From July 2020 those aged between 65-66 years will no longer need to meet the work test to make these voluntary superannuation contributions in a bid to provide greater flexibility for those coming into retirement years. The additional benefit of this is that now from age 65 to 66 years, new retirees will be able to take advantage of the ‘bring forward rule’ during this time with a maximum contribution limit of $300,000. To assist with the ever-increasing cost of living to those receiving Age Pension, Disability Support Pension, Veterans, Carers or Single Parent Payments, a new one-off Energy Assistance Payment will be provided. This will be worth $75 for singles and $125 for couples, with further talks for the payment to extend to those receiving Newstart Allowance. We are also pleased to hear around $6 million has been set aside over a 5-year term to facilitate the Banking Royal Commission responses. We welcome actions being undertaken to continually improve the financial planning industry professional standards and restore faith in a practice which in our eyes is all about you, and your life goals. Kelsey Dent (DipFP, BA[Hons]) is a representative of Alman Partners Pty Ltd, Australian Financial Services Licence No: 222107.